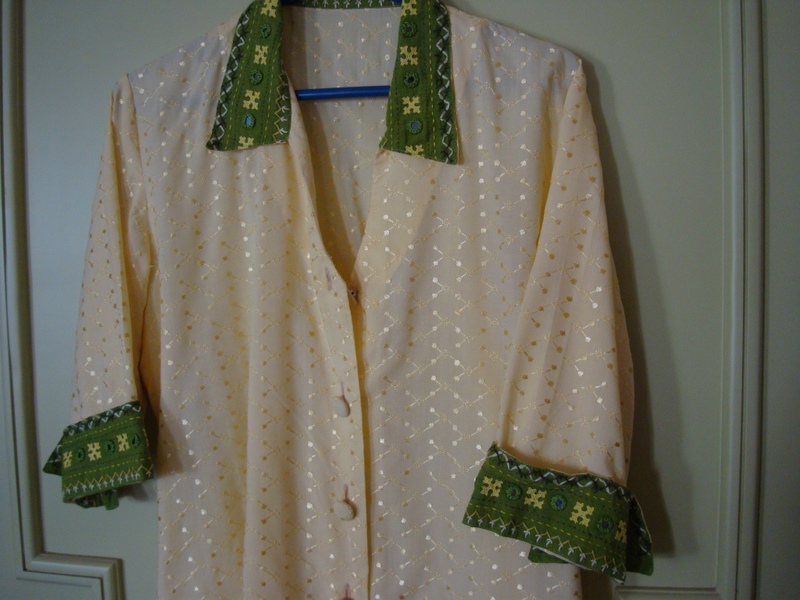 This is the continuation of the last post, where I had mentioned about two tops embroidered with same inspiration. In this post Iam detailing about the second top in yellow. 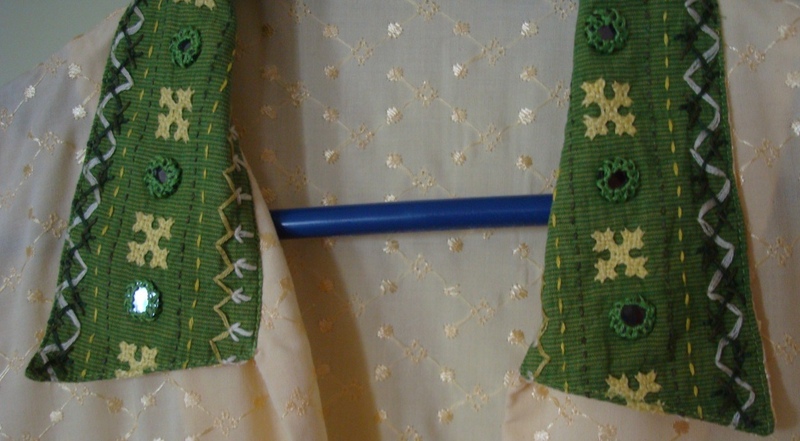 The fabric is hakoba in lemon yellow colour. 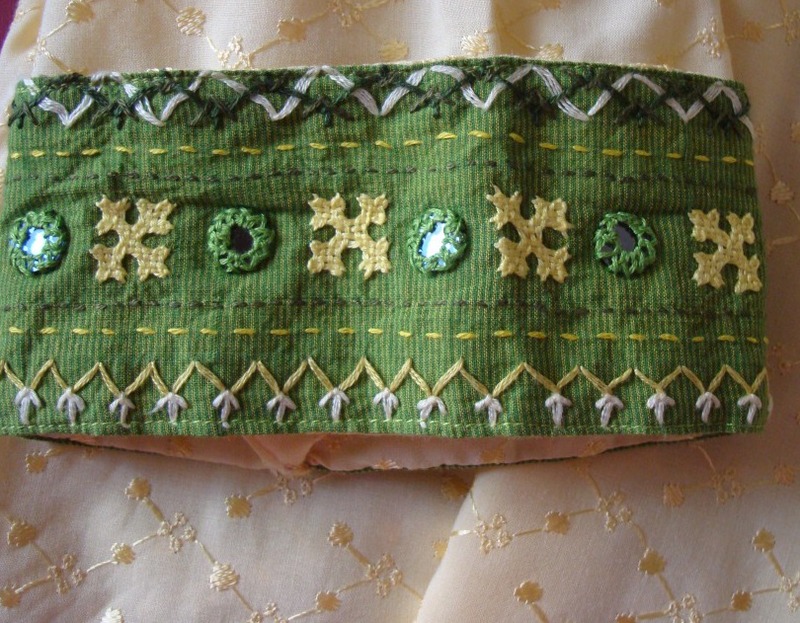 For the embroidery I used light green handloom cotton with yellow stripes. Cretan st, running st,fly st,double running st,laced st, mirrors and kutchwork.